As the U.S. combat mission in Afghanistan prepares to wind down later this year, more American veterans are returning home and struggling to process their wartime experiences. A powerful new online exhibit has created a unique platform for them to tell their own personal stories. “War Ink” uses tattoo art to spark conversations with Iraq and Afghan war veterans about their time in combat and the fallen comrades they lost along the way. The San Francisco Bay Area’s Contra Costa County Library launched the project in conjunction with StoryCorps’ Military Voices Initiative, photographer Johann Wolf and filmmaker Rebecca Murga. California has the largest population of veterans of any state in the nation — nearly 2 million. About 540,000 of them are veterans of the Gulf, Iraq and Afghan wars. The virtual exhibit features video, photography and audio interviews of men and women from all branches of the military telling their combat stories in their own words. Their personal accounts evoke pain, raw honesty, hope and dark humor. 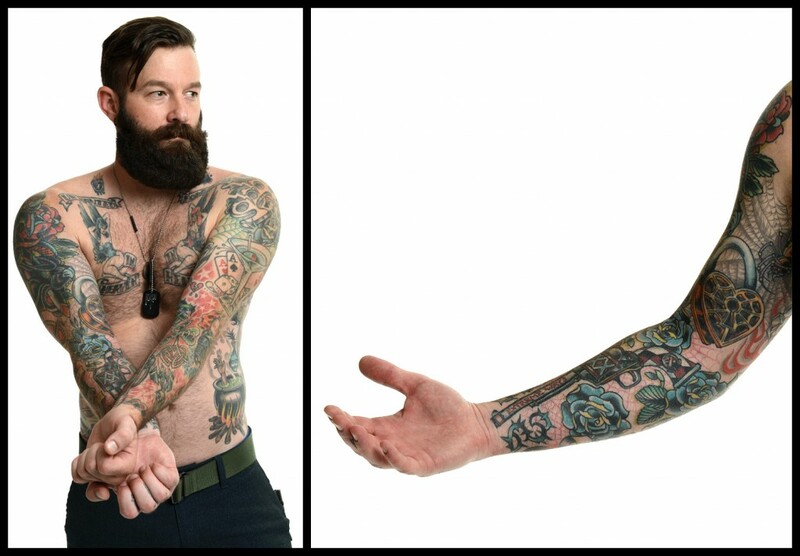 Twenty-four veterans from across California bravely shared their stories and body art for the cameras. Deitch told Art Beat recruiting veterans for the project was “extremely difficult.” He and the exhibit’s other creator Chris Brown — a senior manager at the library — contacted every student veteran group and veterans center in 16 California counties — as well as over 500 tattoo shops. You can view the full “War Ink” multi-media exhibit online at www.warink.org.